“I don’t know what you guys are paying for petrol… But here In Durban, we are also paying higher, up to 47.35 per litre. But my line of work is in petroleum for about 31 years now, So here are some tricks to get more of your money’s worth for every litre. ONLY BUY OR FILL UP YOUR VEHICLES IN THE EARLY MORNING WHEN THE GROUND TEMPERATURE IS STILL COLD. Remember that all service stations have their storage tanks buried below ground. The colder the ground, the denser the fuel, when it gets warmer petrol expands, so buying in the afternoon or in the evening…. Your litre is not exactly a litre. In the petroleum business, the specific gravity and the temperature of the petrol, diesel and jet fuel, ethanol and other petroleum products play an important role. A 1degree rise in temperature is a big deal for this business. 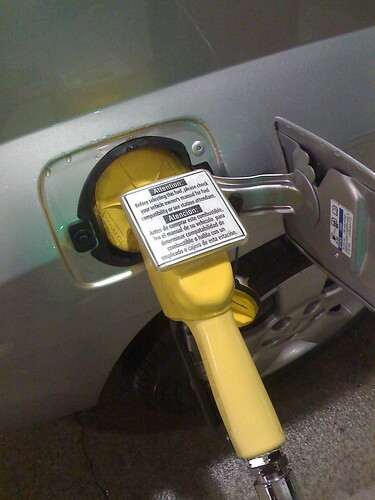 WHEN YOU’RE FILLING UP, DO NOT SQUEEZE THE TRIGGER OF THE NOZZLE TO A FAST MODE. If you look, you will see that the trigger has three (3) stages: low, middle, and high. In slow mode, you should be pumping on low speed, thereby minimizing the vapours that are created, while you are pumping. All hoses at the pump have a vapour return. If you are pumping on the fast rate, some of the liquid that goes to your tank becomes vapour. Those vapours are being sucked up and back into the underground storage tank so you’re getting less worth for your money. Imagine. Petroleum storage tanks have an internal floating roof. This roof serves as zero clearance between the petrol and the atmosphere, so it minimizes the evaporation. Unlike service stations, here where I work, every truck that we load is temperature compensated, so that every litre is actually the exact amount. ANOTHER REMINDER, IF THERE IS A FUEL TRUCK PUMPING INTO THE STORAGE TANKS, WHEN YOU STOP TO BUY, DO NOT FILL UP – most likely the petrol/diesel is being stirred up as the fuel is being delivered, and you might pick up some of the dirt that normally settles on the bottom.